The birth of the com-munity organization now known as the Actors Guild of Parkersburg, Inc. goes back to before the start of World War II. The building that is the Guild's current home at 724 Market Street dates to 1916. In the early 40's, some area radio personalities and theatre buffs established a group know as "The Players." About 1950, this group was joined by others who had moved into the Parkersburg area with the opening of the Dupont and Borg-Warner plants. 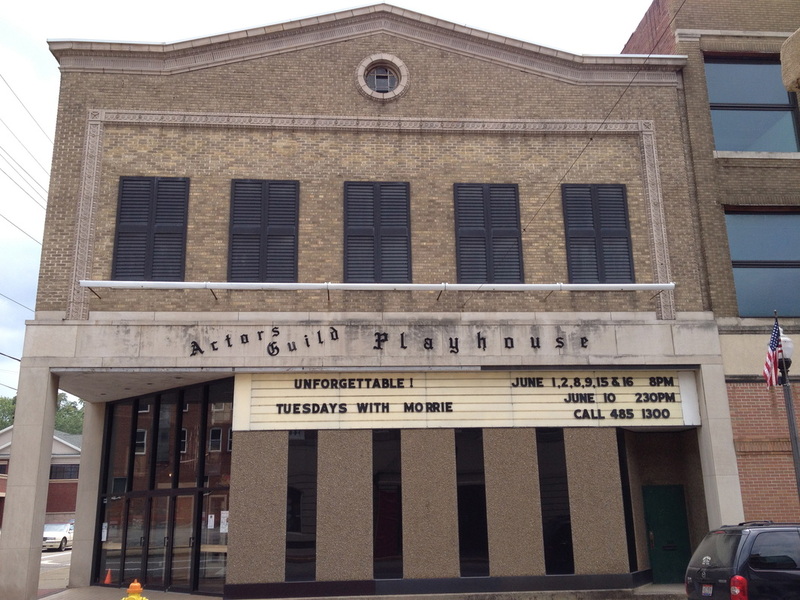 Thus began the Actors Guild of Parkersburg. Productions were presented in local school auditoriums and even in City Park. Then in 1955, a storefront on Dudley Avenue, directly across from Parkersburg High School, was donated to the struggling theatre group. The players grew in number and ability, amazing their 80-seat audiences with their technical and artistic achievements. Although the folding chairs were not too comfortable, patrons supported the group strongly. It was during this period that the governing body of the group voted to set aside a percentage of their income to begin a capital fund that one day would help finance their dream of a permanent theater home. In 1961, the Dudley Avenue building was sold and the Guild moved to the second floor of a laundry at the corner of St. Marys Avenue and 14th Street. It had a larger seating capacity of 130, and benefitted from many improvements to the stage, lighting and sound systems, and other facilities. But it was not the dream house the Guild envisioned. Community support grew as the Guild produced performances of surprising quality and technical excellence. In 1961, four performances of a play were enough to seat all the patrons. By 1975, Fiddler on the Roof required 19 performances to meet the demand for tickets. By 1972, the Guild had accumulated over $18,000 toward the purchase of a permanent theater. There were hopes that the old Lincoln Theater might be available. This site at 724 Market Street had originally been a restaurant called The Sycamore Place. In 1920, the property was sold to the Smoot Advertising Co., which built a silent movie house. The Lincoln Theater opened on April 20, 1920. It was later converted for talking pictures, and operated until March 20, 1932. In the mid-30's, the property was purchased by the J.C. Penney Company which remodeled the building for use as a department store. The store flourished until 1973 when Penney's moved to Grand Central Mall. 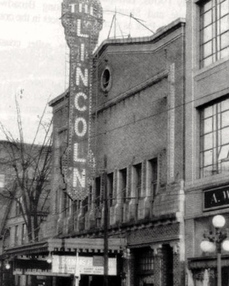 The Guild began a concerted effort to obtain the former Lincoln Theater property. It took only two and one-half years to raise the money to purchase and remodel the building, with generous support for the project coming from all facets of the community. An astounding $130,000 was raised with major contributions coming from the City of Parkersburg, the Benedum Foundation, and the Court (Com-mission) of Wood County. The single largest non-governmental contributor was the Actors Guild itself, donating over $35,000 from its building fund, special projects, and private donations. Two employees and numerous volunteers maintain the facility which houses a 260-seat theater, box office, dressing and makeup rooms, kitchen, green room, lobby with display space for visual arts, and separate scenery workshop and storage area. Over the years, additional changes have been made to meet increased ticket demand and to make the Guild more accessible to the public. The box office has been enlarged and internet access installed to accommodate online ticketing and a greater number of patrons more efficiently. The main floor has wheelchair access to both the auditorium and rest rooms. In 2000, the Trout Building, located behind the Guild on Eighth Street, was donated to the Guild. In 2005, the building was razed to provide much-needed parking. 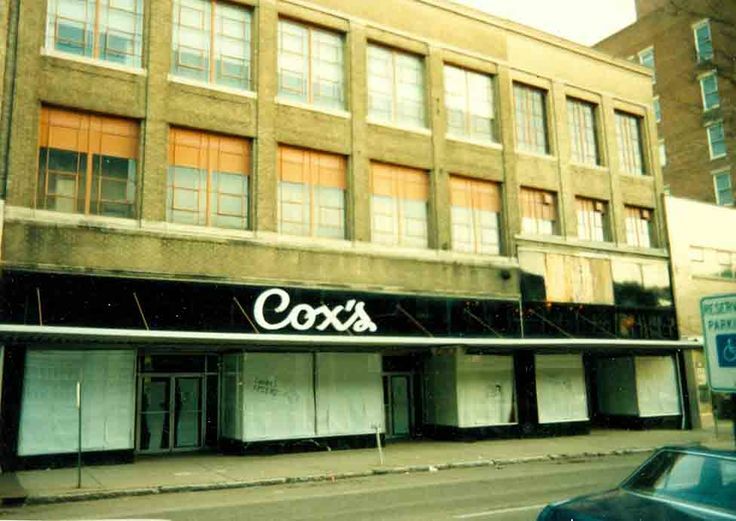 In 2018 the former Cox's department store, adjacent to the Guild on Market Street, was acquired through a generous donation. This additional building opens new possibilities for expansion. The Guild has continued to receive generous financial support from community organizations and individuals. For example, in 1987, an infrared listening system was installed through the assistance of the Parkersburg Area Community Foundation, Parkersburg Rotary Club, Parkersburg News & Sentinel, and a grant from the Artsbridge Special Projects Pool. The system allows those with hearing impairments to enjoy productions to a fuller extent. Although our facility is important to us, the Guild would be nothing without its volunteers, who donate in excess of 39,000 hours per year. Beginning with "The Players" in the 1940s and continuing to today, volunteers make the Actors Guild "A Class Act!"